Grandma comes to visit. She sees her autistic grandchild, opens her arms, and asks for a big hug. The grandchild runs in the opposite direction at top speed. Grandma follows him and gives him that hug, only to be rewarded with a kick in the shins. Grandpa gives his autistic grandchild a gift, and his grandchild, at an age when he or she should know better, says "I don't like this! I wanted a ___!" A kind peer from school agrees to a play date and finds himself ignored for several hours while the autistic host plays alone. Even worse, the guest may spend two hours being told, "don't touch that!" All of these behaviors can be embarrassing, and all can lead to hurt or even angry feelings. Yet all are typical of autism, and, in most cases, result from sensory, communication, or behavioral challenges that are part of autism. Autistic behaviors are usually the result of a few very specific challenges. Because every person with autism is unique, the challenges will look different for each child but they exist, at some level, in anyone who is correctly diagnosed with autism spectrum disorder. People with autism are almost always likely to either overreact or underreact to sound, light, smells, and touch. The child who runs away from Grandma may actually be responding to the smell of her perfume. The child who hates hugs may dislike the sensation of being squeezed but actually feel affection toward the hugger. Sensory challenges may also be the reasons behind "misbehavior" when in a crowded or loud auditorium, squeezed between people online, and so forth. How can you tell when sensory issues are causing a problem? Ask. If your child is verbal, he or she may be perfectly capable of explaining behaviors if asked. Watch. If your child is covering his or her ears while bolting from the room, it's reasonable to assume that something about the sound in the room is causing a problem. Keep tabs on behaviors. If your child is usually able to handle church, but on one occasion becomes loud or runs out of the room, it's fairly obvious that something specific has occurred to cause the behavior. On the other hand, if the behavior is consistent, there may be an ongoing sensory challenge in the environment. It can be something as minor as the buzz from fluorescent lights. Everyone with autism has a tough time with social communication at one level or another. It can be difficult or even impossible to "read" others' emotions or it may be very difficult to avoid overreacting to others' feelings. It can be very tough to "watch and imitate" others' behaviors. The fact that others are sitting still and being quiet may not register for an autistic child. How can you tell if your child is having difficulties with social communication? Notice your child's intent. Difficulties with social communication can make it hard for a child with autism to tell when his actions may be hurtful. 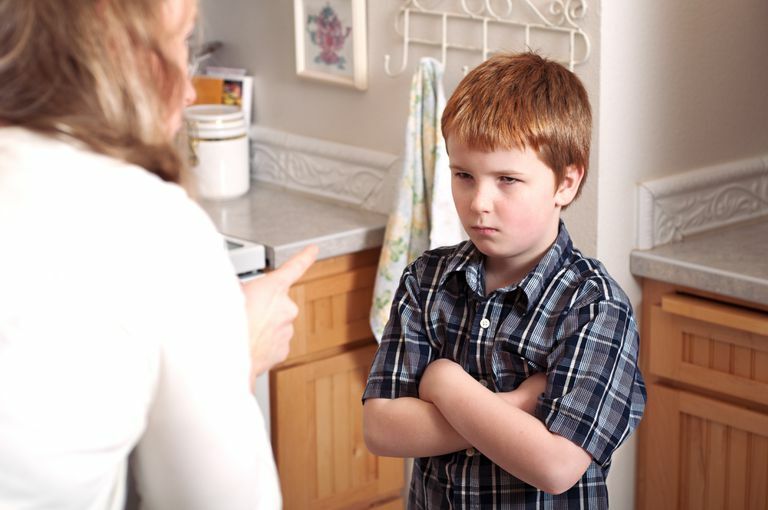 Walking away out of boredom or a desire to do something different may look mean-spirited, but there's a very good chance that your child doesn't recognize how his behaviors are likely to affect others. Remember that your child has developmental delays. A typical twelve-year-old should be able to graciously thank grandma for a gift he doesn't really want. A typical eight-year-old may not be able to handle the situation as well. Children with autism are usually quite immature for their age: a teen on the spectrum may well behave like a much younger child. Be aware of how instruction is provided. A teacher says your child is misbehaving at recess by pushing in line, taking extra-long turns on the swings, and so forth. But children with autism, because they rarely learn through imitation, need direct instruction on behavioral expectations. Did the teacher actually TELL your child about the rules of recess play? Provide visual supports and social stories? If not, how was your child supposed to know the rules? Self-stimulation (stimming). Many people with autism use unusual physical behaviors such as rocking, pacing, flicking fingers, and humming to calm themselves and stay focused. When you see such behaviors, you can be almost completely certain that they are not a form of misbehavior. Lack of eye contact. For many people with autism, eye contact can be difficult if not impossible to manage, particularly during the course of a conversation. While it is possible to teach a person with autism to maintain eye contact, lack of it is not a form of misbehavior. Self-abuse. In some cases, particularly (but not exclusively) for people with severe autism, self-abuse is common. Headbanging, skin picking, and other behaviors are not intentional though they can be disturbing and should be managed. Lack of focus or attention. People with autism may find it very easy to focus on something and very tough to focus on others. Often, they are attending without appearing to do so. Sometimes, they are not attending because they are having a tough time following rapid speech or abstract ideas. Very rarely, they are intentionally ignoring a speaker. Noise-making or bolting. While kids with autism are perfectly capable of making noise or leaving the room just to be annoying, chances are that they are doing so for other reasons. They may be screeching, humming, or chattering to calm themselves, or bolting from the room to get away from a disturbing situation. As a parent, you will usually be able to tell the difference. So you've determined that your child's behaviors are not "misbehaviors" but are, instead, "autistic" behaviors. Now what? You can, of course, do nothing. And in some cases, that's perfectly reasonable. Why shouldn't your child with autism rock, flick, or pace? If he's hurting no one and creating no problems for himself, why trouble? Provide direct instruction. If your child is able to respond to and act on direct instruction, provide it! Use words, video, modeling, practice (rehearsal), and social stories to teach your child how to behave in church or at a concert, how to respond politely to grandparents, or how to interact at a birthday party. None of these is likely to come naturally to your child, but in many cases, instruction and repetition are the keys to success. Remediate challenges. Grandma's strong perfume is causing her grandchild to run away so the best choice is to say "hey, Grandma, don't wear that perfume." Similarly, you can avoid squeezing a child who dislikes hugs, put in incandescent bulbs if fluorescents cause a problem, turn down the sound level on the TV, and otherwise make life more comfortable. You can ask for similar accommodations in school, though it's tougher to get them in an inclusive setting. Choose settings and situations with care. If your autistic child hates loud movies, don't go to loud movies. Alternatively, a pair of noise-blocking headphones may make the sound level more comfortable. Consider going to "autism-friendly" events, or selecting instructors who seem to "get" your child. Grow a thicker skin. Parents of kids with autism are likely to occasionally experience embarrassing situations. Thin-skinned parents are going to be embarrassed by an awful lot. Best bet? Get over it! Change the situation completely. In some circumstances, your child's school, your home, your activity choices, or your location may need to change. This may sound like an extreme response, but if your child's school is unable to serve her needs, your neighbors are intolerant, or your preferred activities are simply impossible for your autistic child, you may need to consider options such as private school, a different neighborhood, or a change in your routines. No good parent would punish a child for a behavior that is age-appropriate or out of his control. Babies cry. Two-year-olds struggle with toilet training. Tweens need help managing their time. On the other hand, no good parent would make it easy and acceptable for their child to lie, hit, hurt others' feelings, or behave in ways that are embarrassing to themselves or others. It is tempting to say (or to allow others to say) "oh well, he/she is disabled, so I don't expect much." But while it does make sense to modify expectations and change situations based on special needs, everyone needs—and deserves—both structure and limits. Without these tools, it is almost impossible to build self-discipline, a skill that is absolutely essential to independence, resilience, success, and self-confidence. Set and communicate limits and expectations. Hurting people (physically or emotionally) is not ok. Nor is lying, acting out when you can control yourself, and so forth. Everyone needs to know their limits and expectations; kids with autism may need to learn about those limits very directly, through instruction, visual tools, social stories, and other means. Recognize misbehavior. You know your child's abilities, so in the vast majority of situations, you will know whether he or she is intentionally lying, ignoring your instructions, or hurting another person. Respond quickly and clearly. If you catch your autistic child misbehaving, you will need to be extremely clear as to what the issue is, why it is wrong, and how you feel about it. Sarcasm, the "cold shoulder," or other techniques may be misunderstood or ignored completely. Provide meaningful, consistent consequences. In the best of all worlds, your child's misbehavior will cause its own negative consequences (deliberately dumping cereal on the floor means no cereal for breakfast). Sometimes, though, consequences that are meaningful to your child, no TV, for example, can be very effective. Offer support for improving behavior. Some children respond well to earned rewards for good behavior (eat breakfast properly for a week and I'll make your favorite meal on Sunday). Children with autism often need immediate reinforcement for a job well done; that can be in the form of a small treat, high fives, or just a big smile. Notice and respond to good behavior. It's important to be responsive when your child does behave well and to be very specific about what is good about their actions. For example, "Joey, you did a great job sharing your toy with your sister." What Do 1:1 Aides Do for Kids with Autism? Is My Child's Behavior a Sign of Autism? Is There Really Such a Thing as High and Low Functioning Autism?